Rüdiger Hehlmann is a Professor of Medicine, Founder and Chair of the European LeukemiaNet (ELN), Founder and Chair of the ELN Foundation. Prof. Hehlmann coordinates the German Competence Network on acute and chronic leukemias and the European LeukemiaNet. The ELN Foundation is a charitable non-profit organization, that was created in support of the ELN to improve the care of leukemia patients in Europe and globally. The ELN Foundation offers access to an alliance of researchers, industry, politicians, patient groups and the medical professionals to better understand the origin and course of leukemia and to reinvigorate clinical development of new strategies and drugs. Professor Hehlmann was Chief of Medicine at Mannheim, President of the German Society of Hematology and Oncology, and Dean of its faculty, and Secretary General of the International Association of Comparative Research on Leukemia and Related Diseases (IACRLRD). 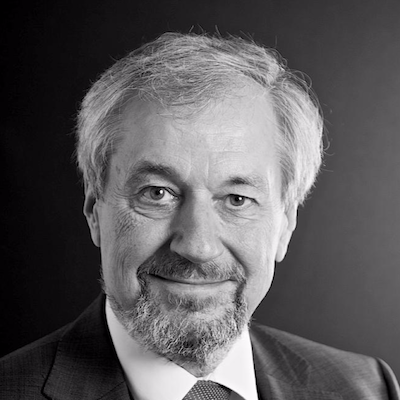 Rüdiger Hehlmann is an honorary member of the Polish and German Societies for Hematology and an honorary doctor of the University Uppsala, Sweden. His research interests focus on leukemia, in particular, chronic myeloid leukemia, and mechanisms of leukemogenesis and progression to blast crisis. He has received numerous awards for leukemia research and interdisciplinary collaboration.